The new Chanel Les Beiges foundation was the new spring release that I most eagerly anticipated. 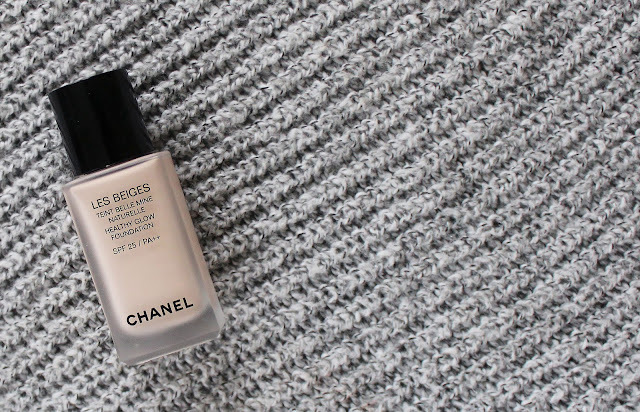 Chanel's Perfection Lumiere and Lumiere Velvet foundations are both up there in my top 5 favourite foundations, so a new Chanel addition sounded dreamy. No exaggeration: the second I got the e-mail that it had finally been released, I dashed to the nearest counter. Literally. Unlike their other foundations (at least the ones I've tried), Les Beiges boasts a dewy finish. 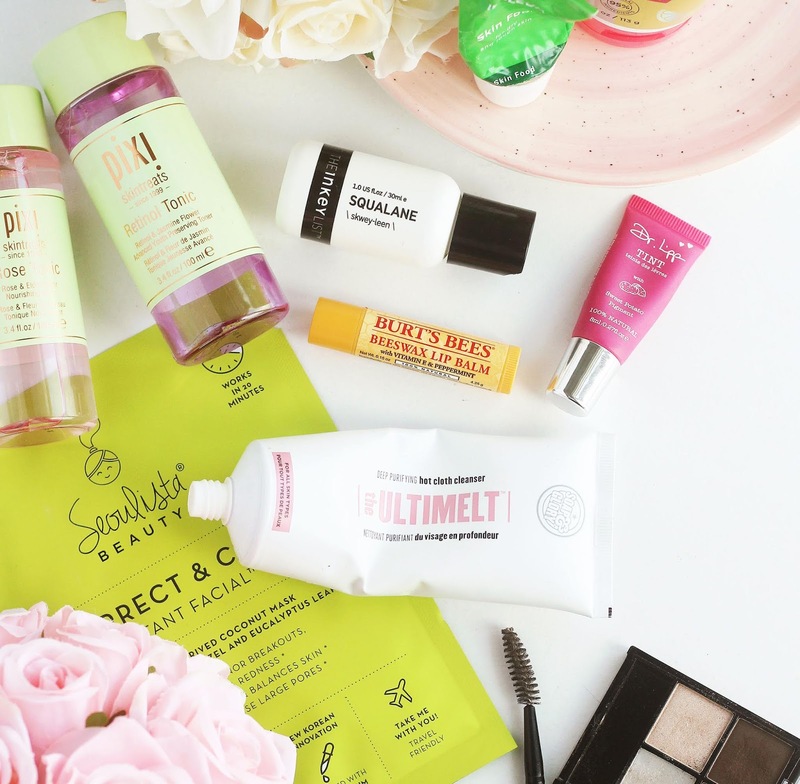 I've mentioned before that I prefer matte, but I've been giving the dewy look a go, especially now that it's the in-trend. And I think I've finally found a dewy foundation to fall in love with in Les Beiges! The colour match for me is perfect; I'm shade #10 in other Chanel foundations and the same in this one, which helpfully saves colour matching. The packaging of this foundation is very similar to their primer, Blanc de Chanel. It's very simple, yet classy and sophisticated. The pump is easy to use and does not deposit an excessive amount of foundation, avoiding wastage. I've found that Chanel's new foundation is the perfect amount of dewiness. It's not oily looking or shiny, it's just got a hint of a youthful glow about it which I love very much. I've found it also gives a decent full coverage, with a little going a long way. It effectively covers all my blemishes, when I've used this foundation I've found myself reaching for my thick, spot covering concealers a lot less because they're hardly visible. It's very blend-able; I love the consistency of this foundation! It's not so liquid that blending is a chore, but it's nice and lightweight so it blends out smoothly. Because it's lightweight, it doesn't cling to my skin and feels more like a light, flawless second skin rather than like you're wearing a liquid foundation. The finish reminds me of silk! Overall, application is very easy and results in a natural looking, glowing finish. The first day I wore this, I was really pleased. It stayed on my face all day and after an entire day of wear my face still had the healthy, dewy glow the foundation promised. However, the second day I wore it.... BAD. Very bad! It was the day I was doing a photo shoot with Georgia, so I was rushing, and sweaty, and pressing a camera up to my face frequently...when I looked in the mirror afterwards, my foundation had literally smeared across my nose and cheeks, was patchy, clinging to the texture of my skin, looked cakey. It was a complete mess. I had to entirely take my make-up off because it had just melted. I have done many, many photo shoots wearing a full face of make-up and this has never, ever happened before! Despite this, I continued to wear this foundation for the next few days for the sake of consideration. Every other day I wore it I got the same results as the first day. Flawless, full coverage finish, healthy glow - even with setting powder following the photo shoot incident - that lasted a good 8 hour wear, with just a minor touch up needed on my nose area - where my foundation always rubs off - at the end of the day. Perhaps photo shoot day was a fluke? I don't know. I'm still happy with this foundation, nonetheless, though I'm always checking in the mirror when I wear it to check it's all on! Something I've noticed particularly about this foundation is that it's easy to layer products over it. I am quite heavy handed, so I've found with other foundations that when I blend products over the top to touch up throughout the day, it can affect the make-up underneath, make texture visible, cakeyness, smudges, etc. This is a problem I have with thicker liquid concealers because I have visible fine lines on my under eye area. With other foundations, I found touching up with liquid concealer a bit tricky because of this. I found with Les Beiges liquid concealer applied beautiful even over the top of a days make-up, which was really surprising for me. The extra layer didn't cling to texture or fine lines, and just blended in nicely with the base underneath. Since the photo shoot day I am a little dubious, carefully setting it with powder, checking up on it during the day, etcetera, but overall I'm happy I bought this foundation. I'm glad I've finally found a dewy foundation I actually like so I can keep up with this season's make-up trend! With full coverage, a subtle yet beautiful radiance, and a smooth, velvety, lightweight finish, I will definitely continue to use and re-purchase this foundation. Because of how it did smudge on the day I was busy (so sweating, etc), I wouldn't recommend it for the oily skinned because I would suggest it doesn't sit well on excess moisture. But if you're dry or combo, looking for a luxurious splurge and a gorgeous glow even in the winter time, I highly recommend Les Beiges.